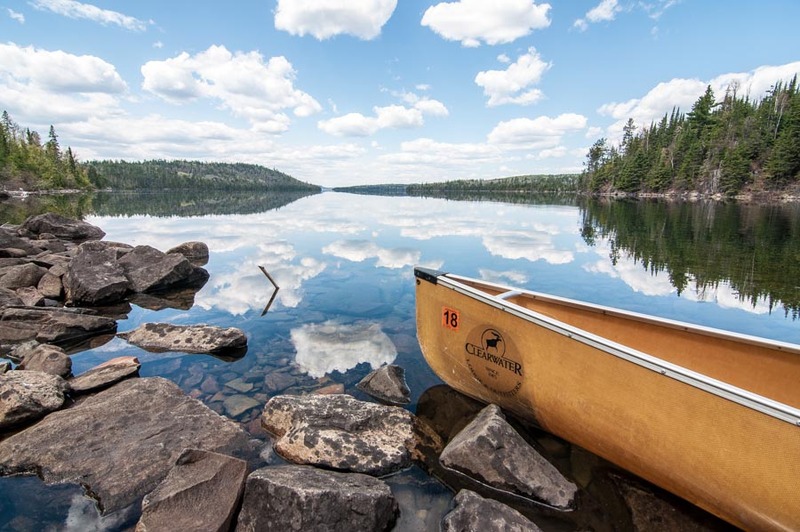 While the relaxation possible at Clearwater Historic Lodge is second to none, our guests generally come to explore the wonders that the Boundary Waters Canoe Area has to offer. Whether you are the “fishing and paddling” type or the all-day hiker, you will not run out of things to do on the Gunflint Trail during your stay. In fact, most people feel they have to leave without having stayed long enough. Many of our guests return to our lodge on the Gunflint Trail year after year. The pages linked above include a sampling of the many canoe day trips, hiking trails, fishing opportunities, nature watching, and other lodge activities available when you stay at Clearwater Historic Lodge. Some of the local favorite day trips are to the Palisades, Rose Falls, and Mountain Lake Overlook. The Palisades is a great paddle for beginners, affording them a look of 400′ cliffs which are scalable. If you do mount them you get a gorgeous view into Canada as well as back towards the lodge. Fishing in the BWCA is superb; many trophy-winners lie in our lakes. We have everything from Lake Trout and Smallmouth Bass to Walleye and Northern Pike. There are too many wonderful hikes to name all of them, but some iconic ones are Bridal Veil Falls and Johnson Falls. Bridal Veil Falls is a three-tiered fall whereas Johnson Falls is very secluded.